The stylish Smartphone Experts SidePouch marries form and function and provides Curve users with a useful accessory that, not only looks good, but also provides the BlackBerry with a good level of protection. 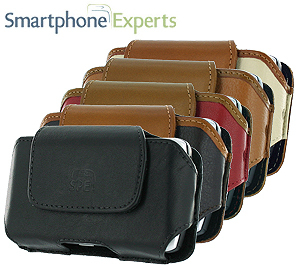 Available in five snazzy colors, the leather cases are priced at an extremely reasonable $19.95 and are designed to fit the BlackBerry Curve series of phones. 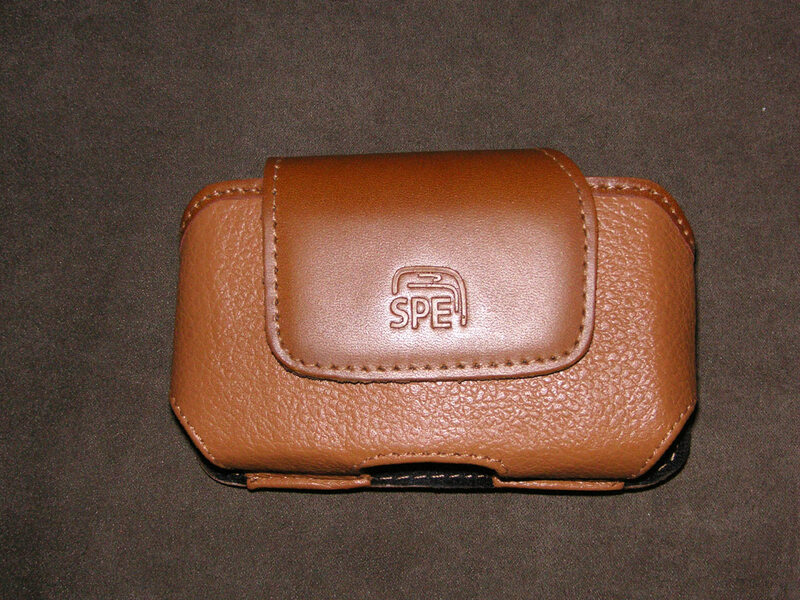 Smartphone Experts also has SidePouch cases available for the BlackBerry 8800 series and BlackBerry Pearl. 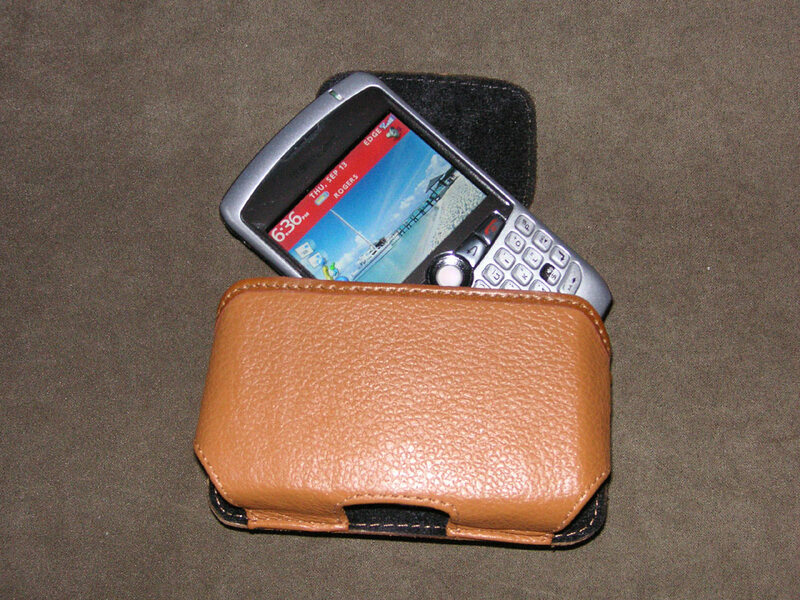 I received the tan-colored 'Saddle Brandy' version of the SidePouch and have carried my BlackBerry 8300 in it for a couple of weeks. I have never been one of those people who wear their cell phone or BlackBerry on their belt — I think that is some prejudice from those days when the only people who would wear phones on their belts were pretentious office equipment salesmen. 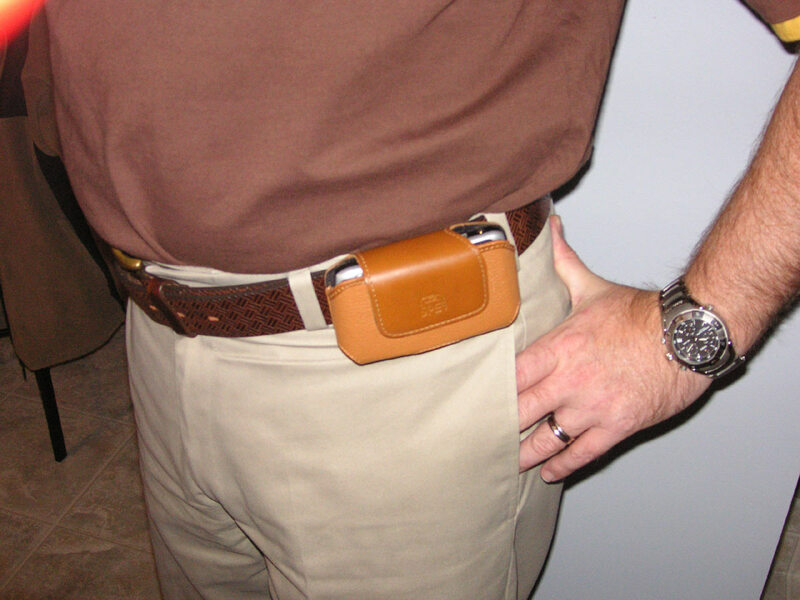 But now, with the shrinking profile of both cell phones and BlackBerrys, belt pouches are a lot less obvious and intrusive and I’m more comfortable with wearing mine. I am pretty impressed with the quality of what is, essentially, a simple accessory. The all leather case is well-constructed and sturdy. 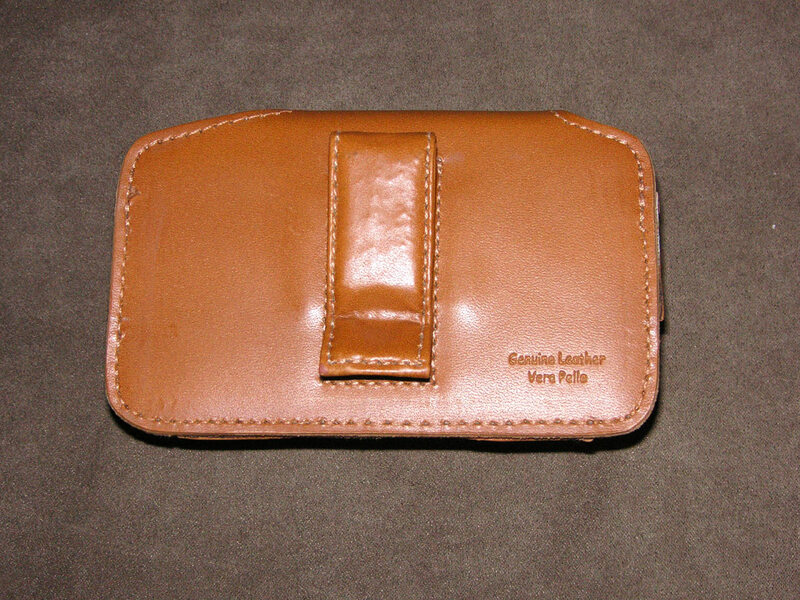 The leather is good quality and the stitching is done well. Through the first two weeks of use, it hasn’t lost any of its rigidness and holds my Curve very snuggly. 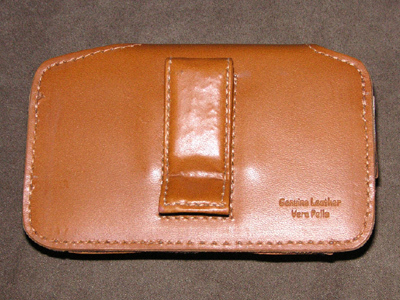 The leather covered metal clip on the rear is tight to the body of the SidePouch, which gives the carrier a very slim profile and means it grips well. I have no worries that the device would be popped off my belt when I was exiting my car for example, which is more than can be said for some other case holders. Perhaps my favorite feature of the SidePouch is the heavy duty magnetic flap. This should, in theory, allow for quicker access to your horizontally inserted BlackBerry. 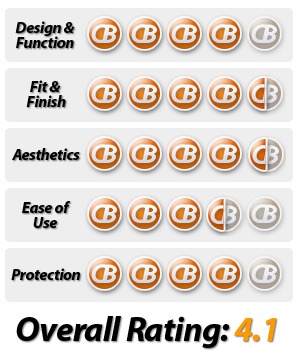 The padding is made from durable fabric and cushions the device nicely. The case comes in five dashing colors - black, cocoa brandy, red brandy, saddle brandy and cream brand, which means there should be a case for everyone from funky to sophisticated. 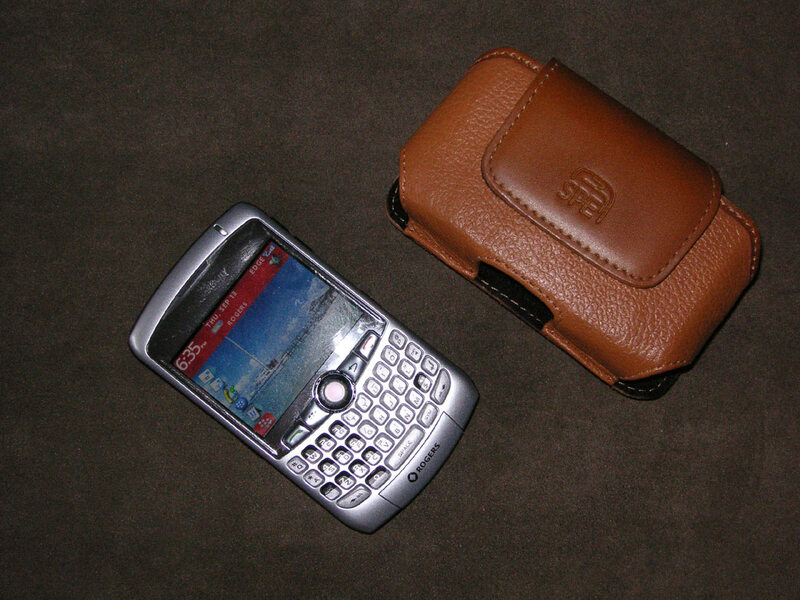 Personally, having not used a belt-mounted case for my BlackBerry before it took a little getting used to. I found it took some time to find the optimal spot to sit on my belt without catching my arm on it while walking. And this is a slim unit and I can't imagine what wearing my old BlackBerry 7290 would have been like. But once I had got used to having it on my side and found the best spot, I found it preferable to sticking my Curve in my pocket. I also felt my BlackBerry was much better protected. The pouch has remained rigid through its first couple of weeks of use. This is both a blessing and a curse; it’s great in that I never feel my Blackberry is sliding around and I don’t have any fear it is going to drop out of the case if I am suddenly seized with the desire to do cartwheels down the street. On the other hand, when the phone rings it can be a pain to try and extract it in a hurry. I wouldn’t consider this to be a downside to this SidePouch case in particular – it is a characteristic that all SidePouch cases tend to share by nature of their design (at least the magnetic clip does speed up the process!). I have missed a couple of calls trying to get my BlackBerry out in time. I have now learned to push the phone up from below rather than trying to pull it out of the top, which has sped up the process. All things being equal, however, I would rather have my phone kept secure, and the Smartphone Experts SidePouch guarantees just that. 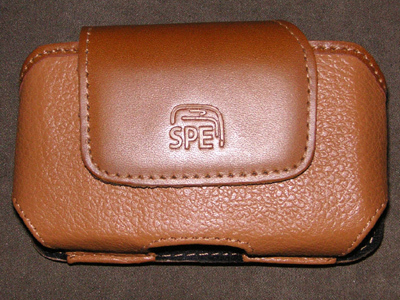 The leather magnetic flap is a nice touch. There is a solid sound as the flap slams closed when you are done with the BlackBerry. Without Velcro or a pop button it is much easier to open and close and it remains in place and keeps your BlackBerry secure. You feel it is going to remain closed and not pop open at an inopportune time. 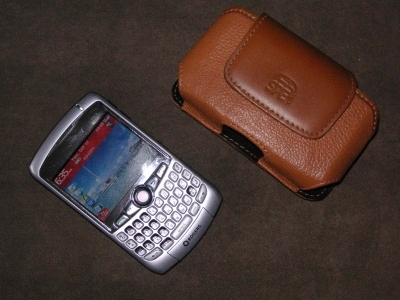 You can load the BlackBerry horizontally into the case either way – screen facing in or out. This means you can insert the BlackBerry into the pouch in such a way as to make the earphone jack accessible. A well-placed magnet inside the case construction puts your BlackBerry into sleep/standby mode once inserted (the trait of a well-designed BlackBerry case), which helps extend battery life and ensures the phone doesn’t make any accidental calls while in storage. While on the subject of insertion (stop snickering back row! ), I did find that I occasionally depressed a key by accident while pushing my Curve into the rigid case. With a little usage, I quickly caught the knack of getting my berry into the SidePouch and into standby without hiccup. The new, lightweight BlackBerrys such as the Curve have made belt fitted pouches a much more viable option for those of us who have eschewed wearing bulky BlackBerrys on our belts in the past. 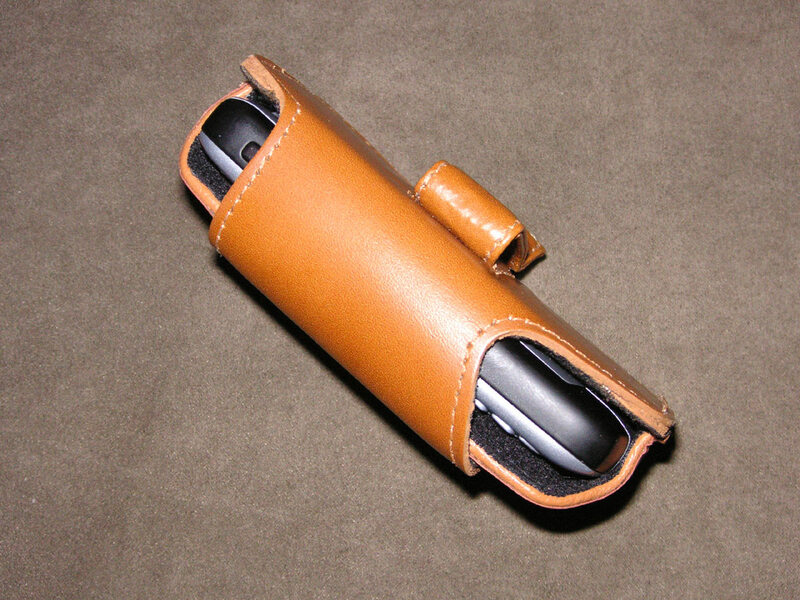 The Smartphone Experts SidePouch is a well-built accessory that provides both a stylish way to carry your BlackBerry but also a solid tool to protect your device. 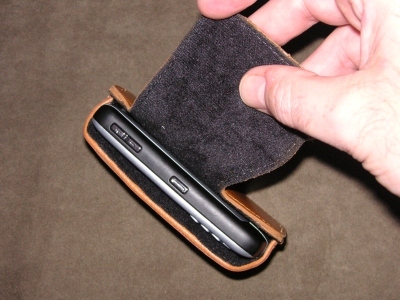 I am loathe to test it out, but the pouch could probably protect your device from a small drop. The pouch is well constructed and should last as long as you own the Berry. On the down side it can be a little difficult/more time consuming to extricate your Berry (as compared to a lightning-fast holster), especially if you are trying to answer the phone in a hurry. On the positive side, you can have confidence your device is tight and secure. Even more colors would be nice!